New! LifeFactory Glass Baby Bottles. 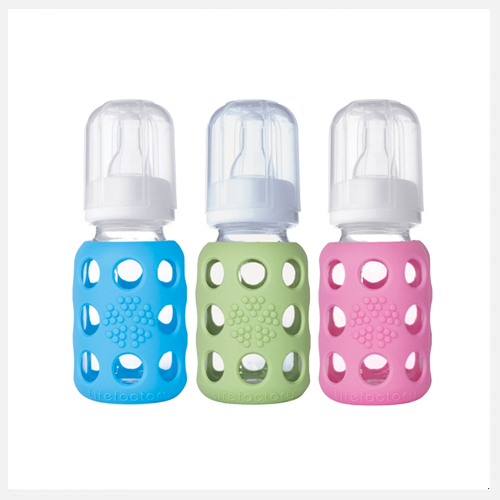 Glass is the healthiest choice for babies - and LifeFactory wraps their bottles in silicone for easy gripping and less breakage. -Please remember, while more durable than other types of glass, borosilicate glass can still crack when subject to rapid temperature variations or severe impact.